In my third year of undergrad, I got to choose an elective History course. Most of the selections were nation-related, and Western: Irish history, Russian history, British history, etc. I chose Chinese. Specifically: The History of Twentieth Century China. The course was tough. Remembering the names of key figures, places and events was tough. Pronouncing them was tough. The professor—Chinese-born herself—had no special aptitude for teaching, so that was tough too. However, the course remains one of my favorite academic memories. Because now and then, our prof would tell us to close our textbooks and listen to her recollect. Not once did she bore us. Everything she told us about the food, the customs, and the society she grew up in was new to us. And the tales she told of the Great Leap Forward, which she lived through; and the collective farm on which she worked every day, passing a picture of Mao on her morning and evening commute; they were captivating. This was real. This happened. This small, shy woman had touched and tasted and breathed a universe each one of us was struggling to construct, from dates and paragraphs, in our heads. When it’s claimed that a film ‘brings history alive,’ the claimant usually refers to a feeling like the one I got from my history prof—namely, that the past takes on a dramatic, human dimension that facts alone cannot convey. This may come at the expense of accuracy or balance, but it is compelling. In such cases, though, we’re not describing how well a film expresses history, but rather, how exciting it makes that history appear to be. Jackie Chan’s 1911 attempts to do both, and fails at both. It fails because it expects us to find drama in the fact of events, rather than the way they’re portrayed. 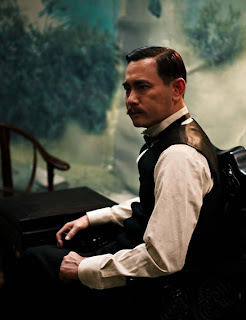 This might work for an audience familiar with the historic roles of men like Sun Yat-sen, or the significance of the Xinhai Revolution—but I suspect not, because this film, in any language, anywhere, would still be a collection of triumphant speeches, gun battles and comically wooden delivery. Chan co-directed the film, and also stars as Huang Xing, a soldier and ally of Chinese revolutionary leader Sun Yat-sen (Winston Chao). These men, along with thousands of other Chinese, seek to overthrow the centuries-old Qing Dynasty, by then in decline. 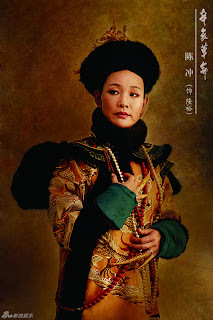 Scenes in the Forbidden City are dominated by Empress Dowager Longyu (Joan Chen, apparently ageless); she shrieks and cries and berates the sycophantic retainers around her, yet is the most lucid when it comes to her family’s future. In addition to revolutionaries, the Empress Dowager must contend with conniving general Yuan Shikai (Sun Chun), who seeks to profit from the failures of both sides. Chun’s performance in 1911 is the film’s best, since it’s funny on purpose. Huang Xing spends the first half of the film fighting in China, while Sun Yat-sen spends it in San Francisco, in exile, leveraging political support. His biggest concern is the U.S. and European banks, who plan to grant the Chinese Government a loan it will then use to crush the rebels. Sun is fervent in his mission and I believed in him. What I did not buy, for a second, were the Western leaders. The actors appear to be dubbed, even when speaking English, which is a strange effect; but worse is their dialogue, which is credulous and thick. It’s as though all they need to do to be convinced of Sun Yat-sen’s righteousness is to sit and listen to him. The performances are simply awful. But they have nothing on ‘Homer Lea,’ author, friend and advisor to Sun. The portrayal here is of a man who’d have trouble mastering long division. It comes closer to resurrecting Stanley Spadowski than anything I’ve seen since 1989. Homer generated a lot of laughs from the theatre I was in, but none were intentional. Text pops up constantly as new characters are introduced, identifying their names, titles and political allegiances, but many of these characters are insignificant. This is actually a very old silent film technique, but in the work of Griffith and others, it was used in lieu of credits, and typically not used at all for characters who didn’t matter much. Chan simply blitzes us with this information, as though the important thing is for us to know that some obscure figure is in the scene, doing something, likely off-camera. Punctuated by (or perhaps punctuating) the sighs, wails and brooding are battle scenes of serious intensity. Chan borrows a lot here from All Quiet on the Western Front (1930), which is a compliment. The violence is gory and frightening at times, without seeming excessive; it doesn’t grow tedious, despite an excess of cuts (actually, several dialogue scenes have the same problem). I suppose it’s the best part of 1911. The worst part, for me, wasn’t in the movie at all; it was the fact that I left it knowing little more about the events it portrayed, or their meaningfulness to the Chinese people, than I did before. 1911 reminded me of silent film in one other way: like very, very old silent films—1910 and earlier—it only works if you’re familiar with the source material going in. Those old films were short; adapting popular novels and fairy tales was both a draw for viewers and a way to tell more story in less time—the viewer knowing, beforehand, what the characters are all about. The films revel in the novelty of their famous characters being portrayed on screen. The acting is secondary. One hundred years on, 1911 seems just as giddy to show you just as little. I don’t know why this was enough for Chan, whose work I typically enjoy. And I regret that so much money and time was spent to make something with less force, forethought and purpose than a single Chinese woman, with a good memory, could generate. 1911 makes its Toronto premiere exclusively at Toronto’s TIFF Bell Lightbox on Friday, October 7, 2011.